The Women’s Excellence in Business (WEIB) series is an extension of the Chamber's successful Women Driving Business series. 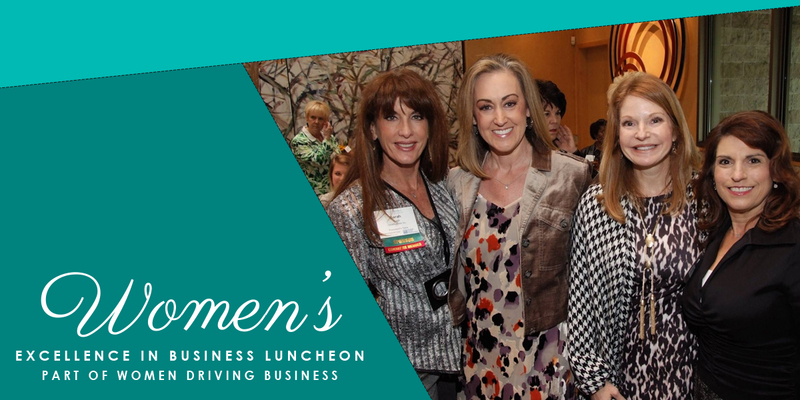 It consists of four intimate luncheons (limited to 100 guests), attended by professional women, business owners, and community leaders who come together to enjoy a memorable meal while making connections with fellow women and hearing from extraordinary guest speakers. WEIB is beyond advice, beyond networking, beyond lunch – WEIB is a movement to become reinforced, get inspired, and share the experience.